The Felina brand was redefined by The Circle as the brand inspired by fashion trends and the elegance of europe’s runways (see the Felina rebranding work here). 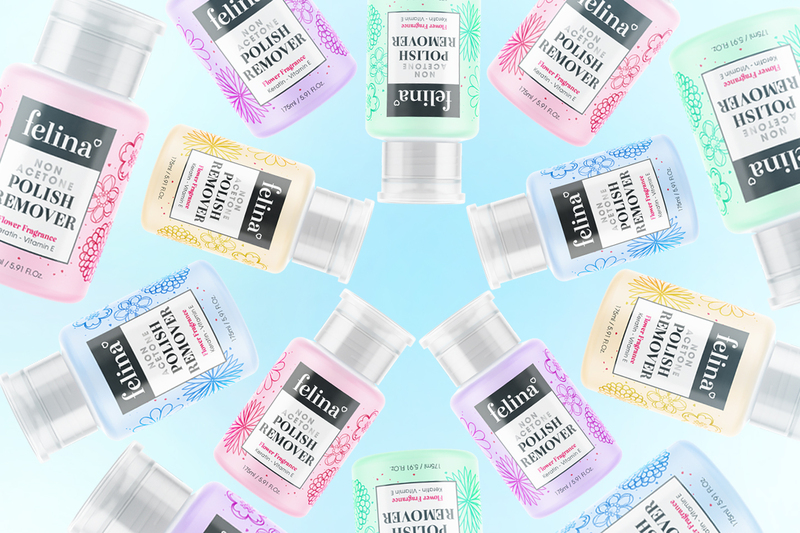 The latest addition to the brand portfolio of Felina, the Felina polish remover packaging design, picks up on this positioning. The soft acetone free formula uses flower fragrances and gave birth to the idea to integrate floral print patterns from fashion designs into a light and elegant packaging design. Simple, light and elegant shapes is what we looked for, to give striking contrast to the timeless black and white brand style of Felina. The designs follow the unique brand language of Felina while adding a fresh character that links to the products benefits.